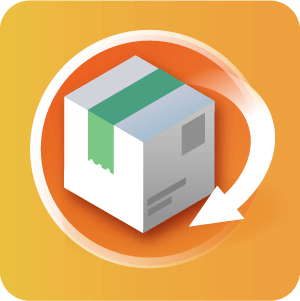 Our Powerful RMA Extension for Magento allows you to manage a returns system on your store, allowing your customer to request a return in a simple and easy way. 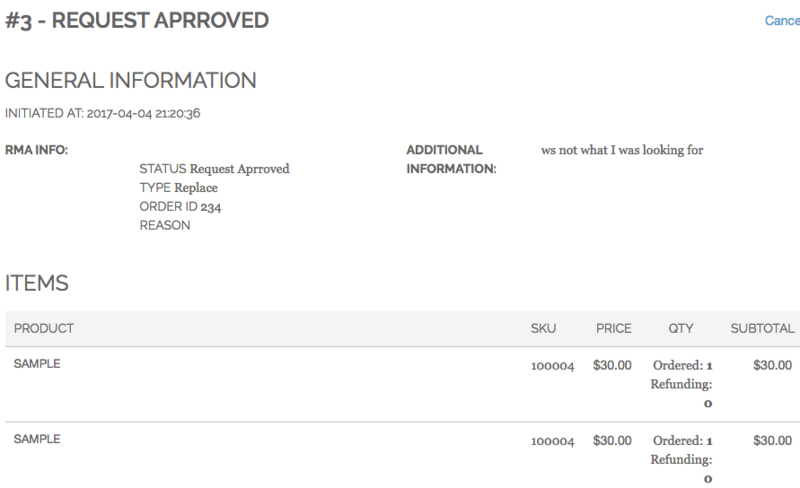 Using the Magento RMA (Return Merchandise Authorization) Module, provide your clients with the option to return products bought using an RMA form and have them refunded or replaced according to the return policy of the store. Admins are provided with the tools to control the exchange or return of items sold to customers, ensuring a clear way of tracking items until all transactions are closed. Customer can track all RMA requests and status updates while being informed of admin approval to their RMA request. Magento RMA Extension (Return Merchandise Authorization) provides your store the ability to offer improved standards of customer service. 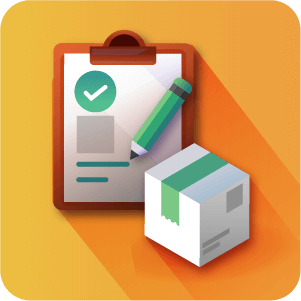 Easily create an RMA request – Using an RMA form, customers can select their order and products, customers then choose the request type, package condition, they can attach a file, add a reason for the return, and finally be required to agree with RMA policy. 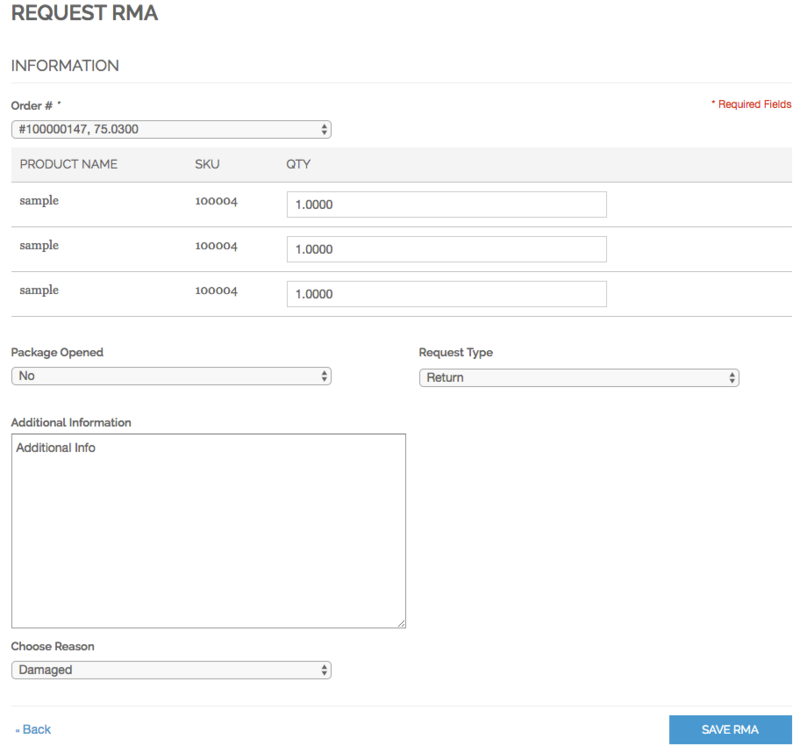 Non logged Users RMA Request Form – The store admin can decide whether or not to allow guests to create RMA requests, the only data needed from a guest is the order ID and email address. Partial return per order – If the order contains several items, the customer can select the item or items they wish to return. Create RMA request from the store backend – Easy RMA process lets store admins easily create an RMA request on behalf of a customer from the admin dashboard. 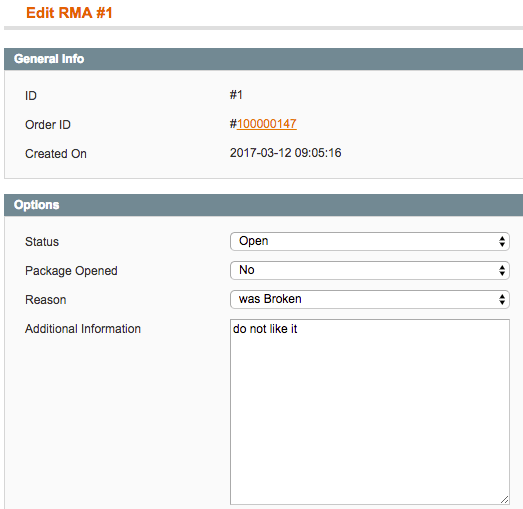 Easily create an RMA request – After selecting the order and products, customers then choose the request type, package condition, they can upload RMA images, attach a file, add a few words describing the reason for the return, and finally they need to agree with RMA policy. 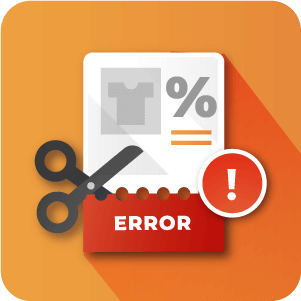 Non logged user request – The store admin can decide whether or not to allow guests to create RMA requests, the only data needed from a guest RMA is the order ID and email address. Partial return per order – If the order contains several items, customers can select the item or items they wish to return. Request status and type – The extension supports two RMA request types, refund or replacement. 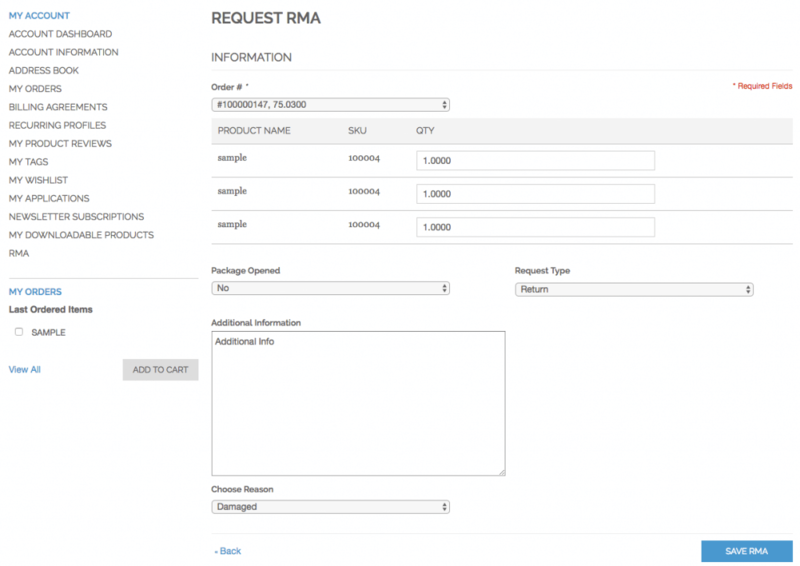 Product Returns for Magento can add more types of RMA requests like: repair, credit, etc. RMA types are easily created in the Magento® admin dashboard. Configurable Email notifications – Our RMA extension provides site admins with the ability to define the recipient of the RMA notifications. 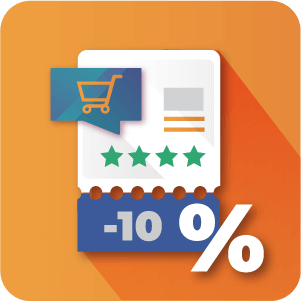 RMA Report Chart – Magento RMA exchange solution lets users generate RMA requests, edit RMA requests from the product return list, track RMA history on their RMA report list and manage RMA requests too. 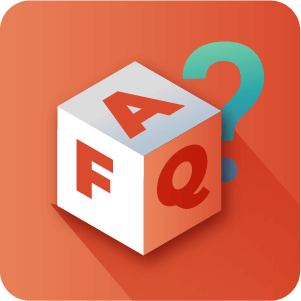 RMA Request Information Form – Admin can manage RMA system from the backend, manage RMA status, and choose whether or not to allow guests to create RMA requests. 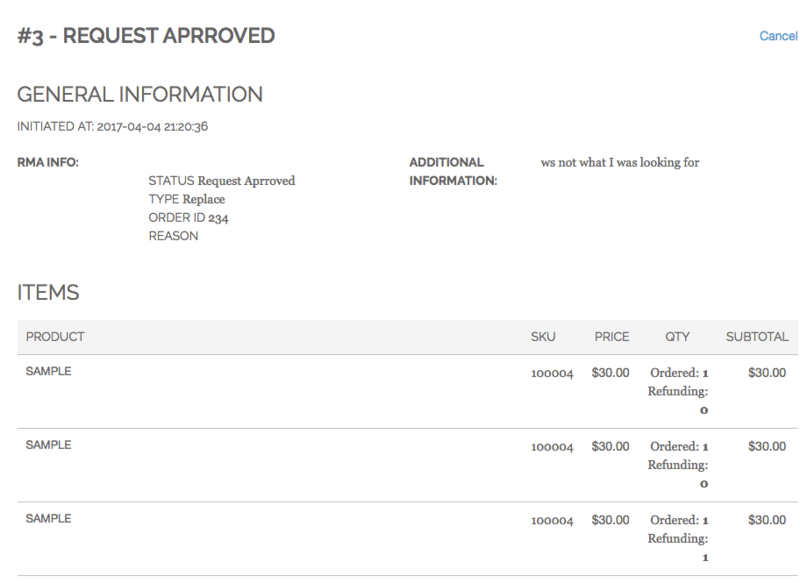 Multiple RMA Requests – Users can create multiple RMA requests, print RMA details and shipping label. Can a customer return any order? For every order that has been shipped the customer will be able to create an RMA request. When can a customer return a order? When the RMA request has been reviewed, approved and the status of the request changed from “Request Created” to “Request Approved”. Can store admin set different options for the return for the customer to select from? Yes, the Admin can configure different custom Reasons and Types for the customer to choose from when building an RMA request. To learn more about managing RMA types see this Help article, to learn more about managing RMA reasons Click here. Does the store admin get notified when an RMA is created by the customer? Yes, the admin is notified of RMA requests. To learn more about email notification settings see this Help article. Can admin initiate a credit memo from the RMA? Yes, there is an option to create and edit RMA request credit memo per return in RMA management in the Admin Panel. Can a customer create RMA for only part of the items in the order? Yes, he can choose the quantity and items from his order. Can the RMA extension work with the Cminds Marketplace extension? We have an RMA add-on for the marketplace extension that combines the two extension together. To learn more about this and other Marketplace MultiVendor add-ons Click Here.